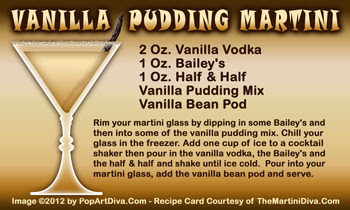 Happy National Vanilla Pudding Day - Drink Your Pudding! Where's the pudding? On the rim. Happy National Vanilla Pudding Day to You!